The newest Recess Intl. team member puts in some work! Ok, he's smiling the whole time and it looks like he's having a really good time, but still, it takes work to get this good. And be this happy. Yoyo used is the Recess Weekend. The newest Recess Intl. team member puts in some work! Ok, he’s smiling the whole time and it looks like he’s having a really good time, but still, it takes work to get this good. And be this happy. Ahmad Kharisma 2016 / Recess Intl. I spent some time this morning processing registrations for Worlds and sending out invitation letters for yoyo players who need them to get their travel visas. I cannot tell you how stupidly excited I was to send an invitation letter to Ahmad Kharisma. He’s such a sweet, kind, awesome guy and an amazing yoyo player. Let’s all gather some beverages and settle in to watch this video, like, 30 times or something, ok? 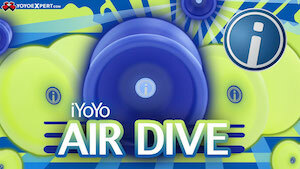 Yoyo used is the Recess Weekend (John Wolfe Edition). Darnell Hairston is back! Cleveland’s prodigal son returns with a new video and new tricks and a new jacket and we’re all about it. String used is Kitty String Fat. Adrian Velez just put everyone on blast with this crazy good new video to ring in 2016. Super dense 1A, just oozing with style…looks like a good year ahead for this guy. Promising rookie Adrian Velez gives up a glimpse of the future in this quick new video. Gotta admit, with that green screen behind him I was half-expecting John Travolta to wander in to this video, looking confused. 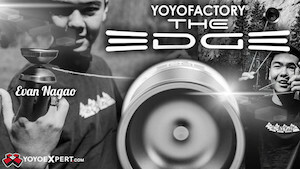 Tyler Severance is gearing up for a run at the 2015 World YoYo Contest, and with the launch of his new company that means we get a new counterweight video. Which is most definitely a good thing.